We can see a triangle ABC in blue color. 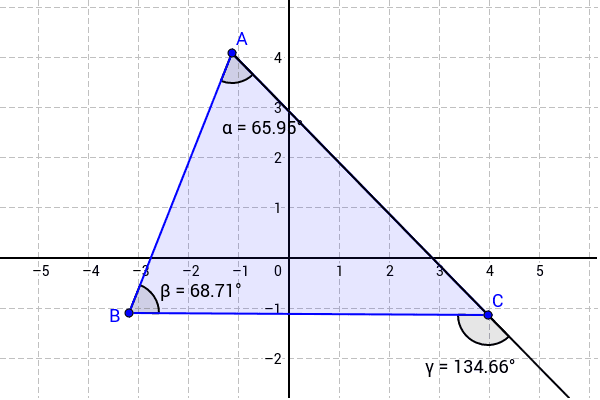 We can also see that line AC is extended to D. Angle BAC = α, angle ABC = β and angle BCD = У. Points A, B, and C are free points. Move these three points and see how the shape of the triangle and angles gets changed.